Ratz Trap...Trap that winning trade with just price movement! Ratz Trap will place the First Trade with a pending BUY and SELL LIMIT order at a set distance from the current Bid price and wait for a reversal in order to take profit. The volume of the first trade is based on the Lot Size Calculation. If the price goes against the initial trade, further trades will be placed based on a Grid System with increasing Lot Sizes and optional TrendGuidance, until the price retraces enough to hit the Take Profit point. In addition to closing the basket at TP, there are Other Exit Strategies, including Stop Loss and Trailing Stops, and Emergency Close All. Ratz Trap can run on any chart and timeframe, and uses Trade Tracking with a unique Magic Number and Trade Comment to identify trades with your broker. The portion of the Account Balance used by each chart to trade Ratz Trap can be set using Portion Control. To help you keep track of all the charts running Ratz Trap, and the open trades on those charts, another EA is provided, called JTA Dashboard. But Ratz Trap is not only about making profits, it is also about protecting your account balance when things do not go according to plan, by using Equity Protection. This is achieved by using Portion Control, Maximum Drawdown Limits and power out stop losses. There are several methods you can use to specify Trading Times, including a Daily Time filter, Holiday Shut Down times, and ShutDown after basket close. 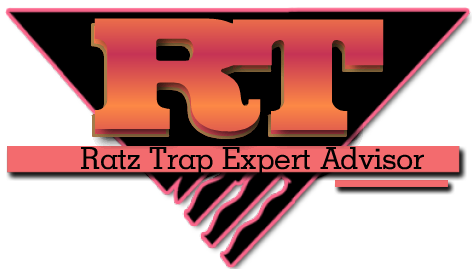 Ratz Trap can also provide you with Information, through the use of the Display Overlay, Email, Sounds, Debug feedback, and Account Balance and Equity statistics. We will not leave you in the cold! Once you have obtained Ratz Trap you will have ready made and continually updated set files for multiple FOREX currency pairs. These set files will be updated continually not only in our forum but on SkyDesks and IamFX as well. RT will always be updated and the latest features will be made available to you. You will be notified by email about any available updates and you will have complete control over your trades and your total trading experience using Evolution.